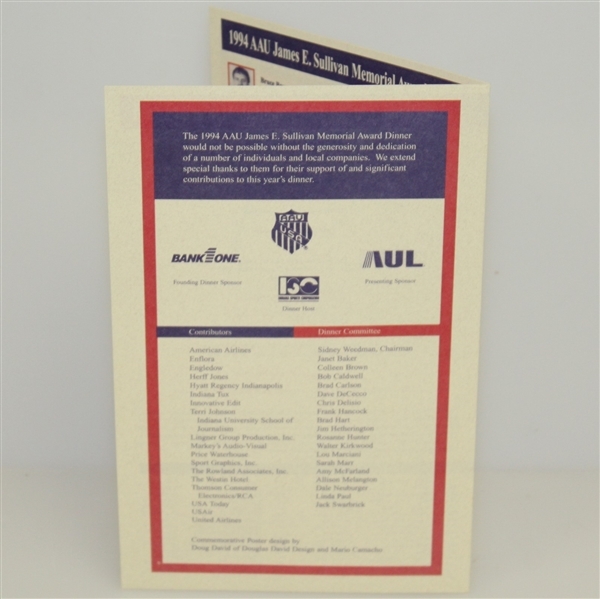 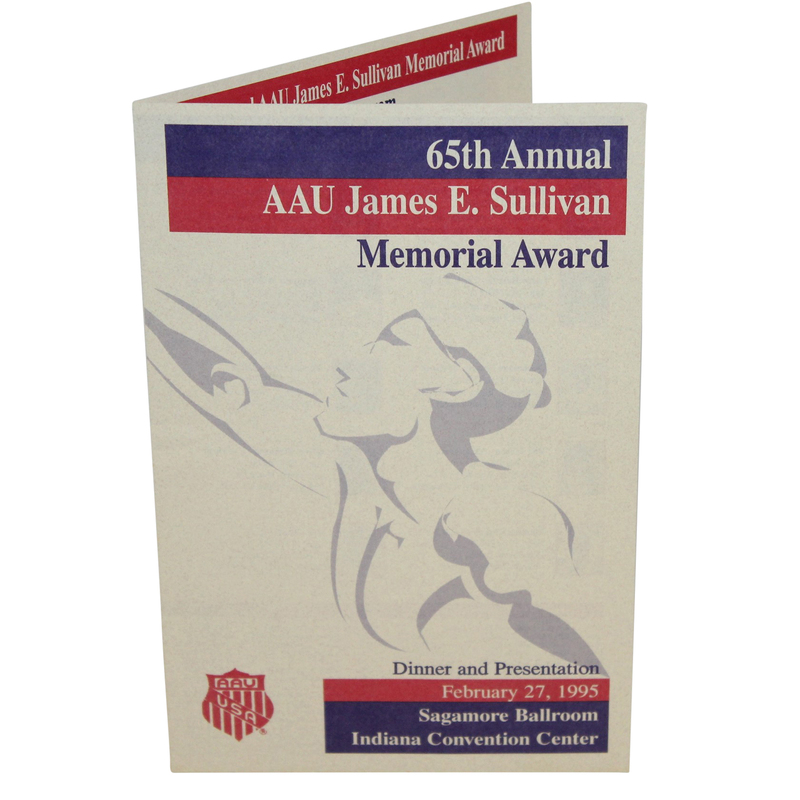 Offered here for bidders is a dinner program from the 1995 AAU James E. Sullivan Annual Memorial Award. 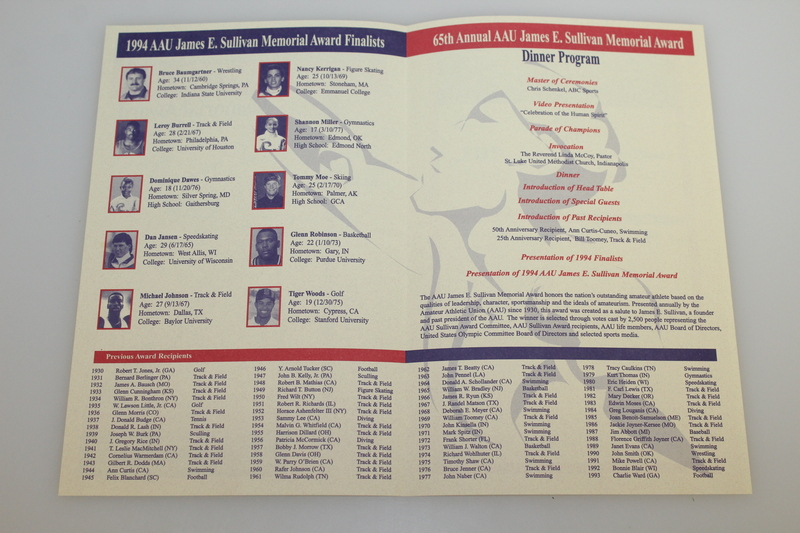 The program comes in great condition. The award recognizes the most outstanding amateur athlete in the United States. 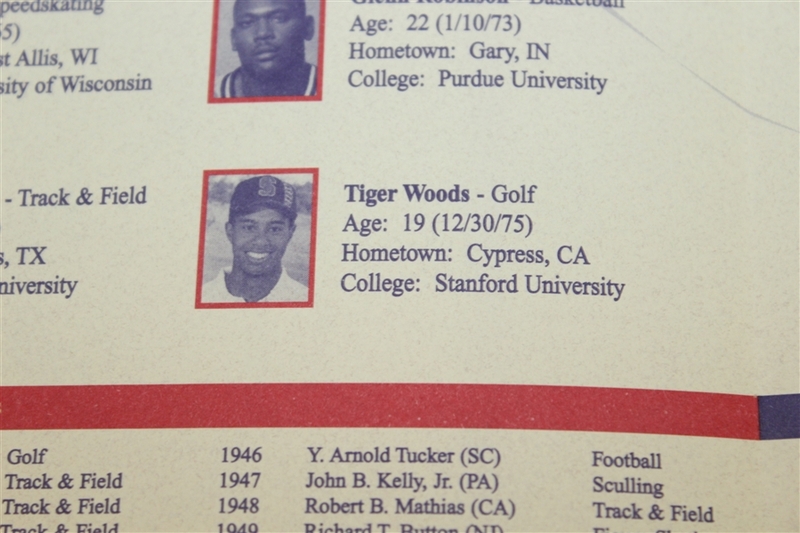 Tiger Woods was named as a finalist for the award in 1995 with wrestler Bruce Baumgartner taking home the award.